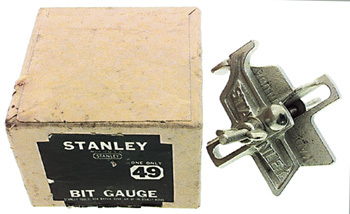 An auger bit depth gauge, No. 49, by STANLEY. nickel plated finish. new condition, original box.